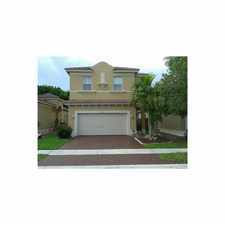 Apartment for rent in Homestead. This apartment is in Homestead. 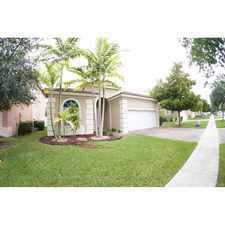 Nearby parks include Leisure Lake Park, Leisure Park and Palmland Park. 3754 2nd Drive has a Walk Score of 50 out of 100. This location is Somewhat Walkable so some errands can be accomplished on foot. Brand new TH located in Vineyards Chateau community by Lennar. 4 Beds, 2. five baths. Stainless appliances. Backyard with pavers. Close to dining and shops, bright, gas stove, trash included. Explore how far you can travel by car, bus, bike and foot from 3754 2nd Drive. 3754 2nd Drive has some transit which means a few nearby public transportation options. 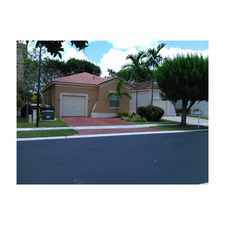 3754 2nd Drive is in the city of Homestead, FL. Homestead has an average Walk Score of 35 and has 60,512 residents.